The Austin College community is saddened by the death of retiree Mary Carlson on January 15, 2019. Mary served as the secretary and administrative assistant in the office of the Dean of Social Sciences from 1981 until her retirement more than 25 years later. The family will hold a memorial service Monday, January 21, at 2 p.m. at Grand Avenue Presbyterian Church, with a reception following. 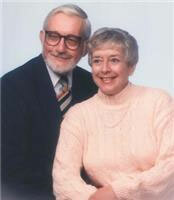 See the full family obituary and offer condolences online through Dannel Funeral Home.